VECO Devil Tank from Vaporesso is a 5ml tank with 26mm diameter. This subohm tank, like many of other Vaporesso tanks comes with an easy top fill and adjustable top airflow system, which is quite convenient for using. 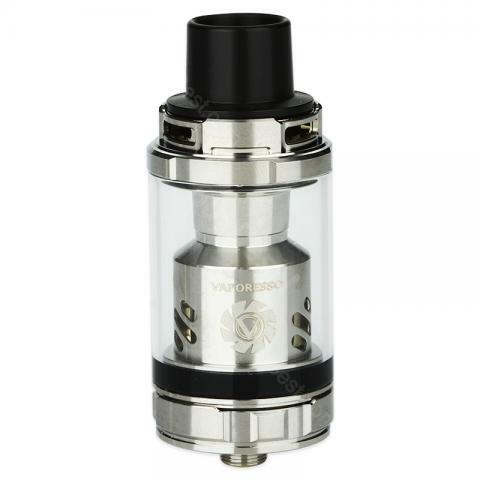 VECO Devil Tank from Vaporesso is a 5ml tank with 26mm diameter. This subohm tank, like many of other Vaporesso tanks comes with an easy top fill and adjustable top airflow system, which is quite convenient for using. And there is no need for you to worry about the possible leaking problem. Because many engineers have tested it for you before launching. And the leak-resistance feature will be approved by the vaping mark later. Moreover, you can buy the vaporesso Eco universal coil separately to use with it. We've prepared the Black and SS color with the most competitive price for you to choose from. Man braucht weniGerätabak als mit anderen Geräten. GeekVape ist super!! Wirklich weiter zu empfehlen! Purchased Vaporesso VECO Devil Tank based on reviews and received today. VERY NICE.